​Entertain friends and family in effortless style with one of our custom decks. We’ll build a deck that suits a variety of needs, from backyard barbecues to relaxing rendezvous. Tell us your vision and we’ll help you make it a reality. 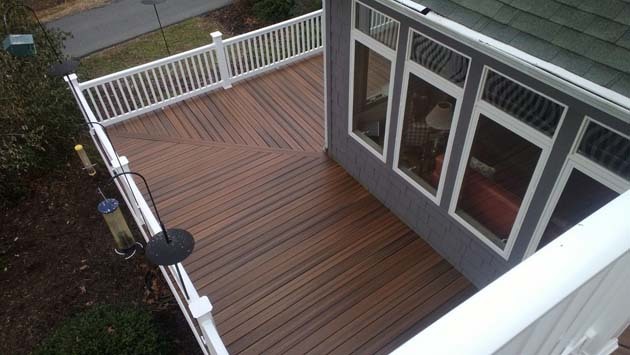 ​As the premier deck and porch contractors in the Piedmont Triad, we know what it takes to design and build a beautiful deck that is sure to complement your home. We combine the excellent use of high-quality materials with innovative workmanship to create a one-of-a-kind structure that will last for many years to come. Our custom deck builders believe in doing things right the first time, which is why we pay special attention to every detail—even the tiny ones. 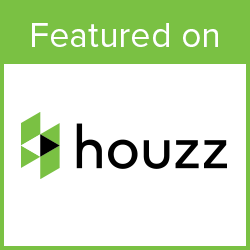 If you’re searching for outdoor deck contractors near me, in Winston Salem, Greensboro, and High Point, your search ends here. As the most popular custom deck material, wood offers strength and durability, along with a traditional look that will stand the test of time. From Southern Pine and Cedar to exotic hardwoods, you have many options available to you when it comes to custom deck building. Wood decks will need to be regularly maintained with sealant or stain and cleaned with a power washer to retain their beautiful look. The amount of maintenance will depend on the degree of sun exposure it receives. If your deck is in a wooded area and heavily shaded with trees, it will probably require less maintenance. On the other hand, if it’s in full sun most of the day, it may need more. Either way, one of the biggest advantages of wood over synthetic materials is its high level of versatility. It can be updated to appear brand new with different stain colors and finishes each time. Unlike wood, synthetic man made decking won’t ever require stain or sealant, but it will need to be cleaned occasionally. (Hence, why it’s called “low-maintenance.”) It also won’t crack, split, or warp. There are a variety of synthetic deck brands, with Trex Transcends being among the most popular and most highly recommended. Trex decks are resistant to stains, scratches, mold, termites, and even fading, and are easily cleaned with soap and water, which means you won’t even need a pressure washer! If you’re looking for a less expensive option but still want a high level of versatility, this custom decking material is a wonderful choice. Trex decking costs are highly affordable, and this material easy to maintain. Get the look of real wood in a variety of rich brown shades, with all of the low-maintenance advantages that man made decking offers. Your neighbors won’t even know it’s Trex! Invite them over for dinner and drinks, and watch as they admire your beautiful outdoor living space. Choosing your material and color is the first step in the custom deck design process. There are a lot more choices to make, many of which can be quite complex, including the shape and size of your deck, the type of railing, and the location of the steps leading down to your backyard. But don’t worry. We’re here to help you make the best decision for your needs and budget. With so much information to consider, there’s no doubt that you’ll appreciate having a hand to hold as your vision for your outdoor oasis comes to life. The custom deck of your dreams is just a phone call away! Give us a call at (336) 221-3916 or click the button below to schedule a free design consultation.